Turmeric is a perennial herb, 60 to 90 cms high. It has short stem and raised or lifted branches. The rhizomes, or underground stems are short and thick and constitute commercial turmeric. It is an important common flavouring spice of daily use. In India, it is used in the same way as saffron. Turmeric has been mentioned in early Sanskrit works. 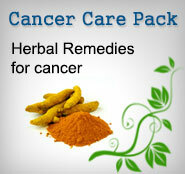 It has been used by the Ayurvedic and Unani practitioners in India since ancient times. It was prescribed by them as a drug to strengthen the stomach, promote its action, as a tonic and as a blood purifier. Turmeric is a native of Southern or South-eastern Asia. It has been grown in India from ancient times. It seems to have reached China before the seventh century A.D. Turmeric spread early throughout the East Indies and was carried eastwards across the Pacific by Polynesians to Hawai and Easter Island. An analysis of turmeric shows it to consist of moisture 13.1 per cent, protein 6.3 per cent, fat 5.1 per cent, minerals 3.5 per cent, fibre 2.6 per cent and carbohydrates 69.4 per cent. Its mineral and vitamin contents are, calcium, phosphorus, iron, carotene, thiamine and niacin. Its calorific value is 349. Turmeric contains curcumin and an essential oil. Dry rhizomes yield 5.8 per cent essential oil, while the fresh ones yield 0.24 per cent oil containing zingiberine. Ketone and alcohol are obtained on volatile distillation. Turmeric has many medicinal virtues. The rhizome is aromatic, stimulant and a tonic. It is useful in relieving flatulence. 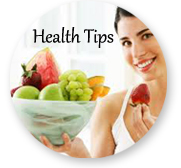 It corrects the disordered processes of nutrition and restores the normal function of the system. It is also useful in curing periodic attacks of hysteria and convulsions. Turmeric is a very useful intestinal antiseptic. The rhizome, its juice or dry powder, mixed in butter milk or plain water, is highly beneficial in intestinal problems, especially chronic diarrhoea. It also helps prevent flatulence. About 20 drops of the juice of raw turmeric, mixed with a pinch of salt, taken first thing in the morning daily, is considered an effective remedy for expelling worms. Turmeric, being rich in iron, is valuable in anaemia.A teaspoon of raw turmeric juice, mixed with honey, is taken everyday in the treatment of this condition. The herb is beneficial in the treatment of measles. Turmeric roots are dried in the sun and ground to a fine powder. This, mixed with a few drops of honey and the juice of few bitter gourd leaves, can be taken by those suffering from measles. Turmeric is an effective household remedy for bronchial asthma. A teaspoon of turmeric powder with a glass of milk, twice or thrice daily is very effective. It acts best on an empty stomach. Turmeric, with its antiseptic properties, is an effective remedy for chronic cough and throat irritations. Half a teaspoon of fresh turmeric powder, mixed in 30 ml of warm milk is very effective in these conditions. To perpare this, milk is poured on a hot ladle with turmeric in it and boiled over a slow fire. In case of a running cold, smoke from burning turmeric can be inhaled. This increases the discharge from the nose and brings quicker relief. Turmeric, in combination with caraway seeds or ajwain, is useful for colds in infants and children. A teaspoon of turmeric powder and quarter teaspoon of ajwain are added to boiling water which is then cooled. About 30 ml of this decoction, sweetened with honey, may be taken thrice a day in treating such conditions. For treating sprains or the swellings caused by sprains, turmeric paste mixed with lime and salt can be applied with beneficial result. An application of turmeric powder to boils speeds up the healing process. In case of fresh hoils, a few dry roots of turmeric are roasted and the ashes dissolved in a cupful of water and applied over the affected portion. This solution enables the boils to ripen and burst. Turmeric is very effective in the treatment of skin diseases like ringworm and scabies. In such cases, the juice of raw turmeric is externally applied to the affected parts. Simultaneously, turmeric juice, mixed with honey, should be taken orally. Turmeric powder is useful in soreness of the .eyes. About 6 grams of this powder is boiled in about half a litre of water ~I it is reduced to half. A few drops of this water put in the affected eyes, three or four times a day, give relief. Turmeric is an indispensable culinary ingredient It imparts a musky flavour and yellow colour to curries. It is also used as a colouring matter in pharmacy, confectionery and food industries.